Lori began her career in the communications industry, working for NBC in New York and local radio stations in San Diego and Washington, DC. After receiving her Masters in Elementary Education, Lori received her teaching license in three states and taught for five years. Both industries gave her a strong background to enter real estate in 2002, combining patience and communication skills to help buyers and sellers enter into their most important investment. Lori was rookie of the year in her office in 2002 and claimed the same distinction for her firm in the entire Mid-Atlantic region. She works with both buyers and sellers equally and, having lived here for 16 years, is very knowledgeable regarding the DC area. She resides in the Avenel Community in Bethesda, MD, and has two children who are in college. I wanted to share with you what a fantastic experience I had with Lori Leasure in your office. Lori represented me as both a buyer and seller of the same property. As a buyer's agent, Lori was very quickly able to decipher exactly what I wanted and was very patient and diligent in making sure my new home was going to be the right fit for my needs and wants. She searched continuously, and I looked at many homes over a period of months; when she felt a house was not the right fit, she said to keep looking, the right house will come along. Her advice was always spot on. Over those many months, I never felt rushed or pressured to buy. When I found my house, Lori was able to get my offer accepted despite numerous offers. As a seller's agent, I cannot tell you how tirelessly she worked to list and sell my house — she painted shutters, moved furniture, hired a stager. Her knowledge of the market and the neighborhood were apparent when the house had competing offers and was under contract $11,000 over listing price after the first weekend of open houses. On both ends, she made the process run smoothly and helped me navigate what can be a really stressful situation. I can't say enough good things about her. Daryl and I are very grateful to you for all that you have done to make the sale of our townhouse possible. You went above and beyond what any real estate agent could ever be expected to do in helping us renovate and sell this property. Likewise we will never forget all that you did to help us sell our house in Potomac last spring. In both cases you took the listing, knew exactly what had to be done to make the sale, and then you moved forward with full attention to us and the sale and sold the houses in record time with speedy closing dates. Your knowledge and guidance have made both sales easy and profitable for us. The one who recommended you to us told us that you would do what it takes to get the best price in the market at the time and that you would work hard for us. Clearly he was right! We love that you have given us full attention during the process. If we can ever be of help to you in terms of giving a strong recommendation in all honesty and sincerity regarding our experience working with you, do feel free to call on us. In the meanwhile, we will be recommending you to everyone we know who is considering selling their homes. Again MEGA thanks for a job well done. I enthusiastically recommend Alexa Kempel and Lori Leasure of Washington Fine Properties. I consider them to be most outstanding residential realtors in the Washington, DC, Metropolitan Area. Alexa and Lori worked as a team in the successful sale of our home in Potomac. I recommend each of them individually and both of them as a team. They are highly skilled and knowledgeable, extremely well respected, and always attentive, accessible, adaptable and focused on the best interests of their home buyer and home seller clients. I write from personal experience as both a buyer and a seller of our family�s homes in the Washington Metropolitan Area. We have relocated our primary residence and used the services of fine realtors three times, including both the purchase and later the sale of homes in Washington, DC, suburban Virginia and most recently in suburban Maryland. Individually, both Lori and Alexa have a broad range of skills in pricing, marketing, staging, presentation, and they have ready access to other professionals in all of those areas, plus reliable and reasonably priced contractors for appropriate home improvements or remodeling, furnishing, and financing. As a team, their skills and level of service are a multiple of their individual talents. They have a rare ability to identify the unique features or attributes of a home from the perspective of both buyers and sellers. Throughout my experience with Alexa and Lori � from pre-listing consultations and advice through closing the sale and even after the closing, they were only a quick phone call away and always had insightful advice. I rarely write recommendation letters, and I have no personal interest � financial or otherwise � in the realty business. I have only two purposes in writing this recommendation. First, I want publicly to recognize the exceptional service that Lori Leasure and Alexa Kempel provide. And second, I want to encourage other homeowners � both buyers and sellers � to benefit from considering them. Lori and Patty made our first-time home buying experience both fun and personal. From the beginning we knew they genuinely wanted us to find not just any home, but the right home for our growing family. They worked tirelessly on our search — and boy, were we all over the place! Having just moved here from San Francisco, we really relied on their knowledge of the area and market expertise. From Capital Hill to Kensington, they made themselves available on late nights and weekends. We trust them and feel fortunate to have had them with us every step of the way. One day, we'll do it again ... but for now, we are LOVING our perfect, new home! Lori was great to work with, and we can't sing her praises enough. From the moment we met her, we knew that she was not only a wealth of information about the area but very easy going. She has an instant trustworthy demeanor that let us know she was the right person to help find us our dream home. As this was our first time buying a home, she helped coach us through the process and was accessible to ask for advice and guidance on all aspects of home buying. She was very knowledgeable about the area and all of the players involved in the closing process. Her strong reputation was able to get us connected to the right contacts that made for a smooth closing. We couldn't be happier in our new home and it was all thanks to Lori! When my husband and I started looking to buy a bigger house for our expanding family, we really had no idea what we had gotten ourselves into. It was fun to go to open houses but we didn't have a clue as to the process of home buying. Lori saved us! She arranged for us to see houses during the week, which worked better for our schedule, and patiently guided us through house after house. As soon as a potential home hit the market, she'd email us to set up a time to see it. When we found the perfect home, she was available to us every moment of the day (and sometimes night!) as we finalized all the details. Buying a house is a big deal; we could never have done this without all of her help and support! I am writing this note to let you know how pleased, impressed and grateful I am with one of your agent's performance, Ms. Lori Leasure. One year ago this month, May 2011, my partner and I requested the services of Washington Fine Properties through Ms. Leasure, to purchase a home in Maryland. Our goal was to relocate from Virginia to Maryland to be closer to our son's school. The sale of the VA home took longer than anticipated for reasons we may never know. However, we finally went to contract in VA, March 2012. Ms. Leasure represented us in our search for MD property the entire time. She introduced us to neighborhoods within the range from school we wanted, showed us homes within our requested price range, provided us with all the resources we needed to make an informed purchase. Lori was detailed, timely and respectful of our time and schedule. She kept the lines of communication open with all parties concerned and always returned calls, e-mails or text messages, always. Lori is a true professional. To say we were pleased with Ms. Leasure service is an understatement. We owe our smooth transition from VA to MD all to Ms. Leasure. We couldn't be more satisfied or grateful for her hard work. We will be sure to recommend Ms. Leasure to anyone in need of a first class Real Estate Agent in the future. 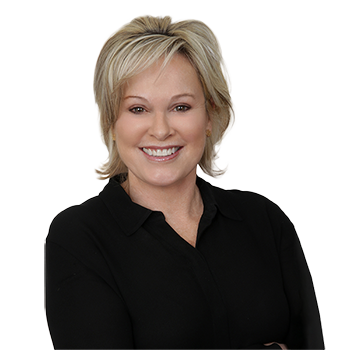 I wanted to write you a quick note and let you know about the absolutely wonderful experience that Dale and I had with Lori Leasure, who recently acted as our agent (buyer) on a house in the Palisades. My fiance and I literally stumbled upon meeting Lori at an open house in Sutton Place back last summer when we didn't have an agent. We wanted to remain in NW DC, where we rent now, but being in the 650 to 750,000 price point made that of course challenging. We looked for nearly eight months, and Lori's patience throughout this whole process was incredible. We changed our minds a hundred times, contemplated other parts of the city, wondered if we'd ever find a house, and her help through it all was just incredible. Even though I'm sure we are on the small end of clients WFP works with, Lori always made us feel incredibly important to her, and went above and beyond to meet us, show us houses, and never pushed us into a decision we didn't want to make. In the end, we found the perfect little house in the Palisades, and when our lender almost thought he couldn't do our loan amount on a VA loan, Lori quickly found us a backup lender who she knew was reliable so that we wouldn't lose the house. Honestly, Dale and I now count Lori amongst our friends, and we just couldn't recommend her highly enough to our friends who are in the same spot, looking to buy their first home. I want to thank you for the nice work you performed to help us get our house. I personally appreciate your professionalism, and will be more then glad to recommend you around to friends.